Having improved markedly as a sophomore, he’s targeting the 2020 NFL draft. (Francisco Kjolseth | The Salt Lake Tribune) Utah football player Jaylon Johnson is an All-Pac-12 defensive back and an All-Academic selection as well. The postseason award hardly surprised Utah cornerback Jaylon Johnson. Being recognized by the Pac-12 was “something I expected,” he said, an honor that represented what he’s always done, following his family’s outline for him. Sure enough, Carmella Johnson's wishes were fulfilled when her son was named to the Pac-12's All-Academic football team. Jaylon Johnson also made the all-conference first team, as judged strictly by on-field performance. He makes this point clear: Football is Johnson's business. 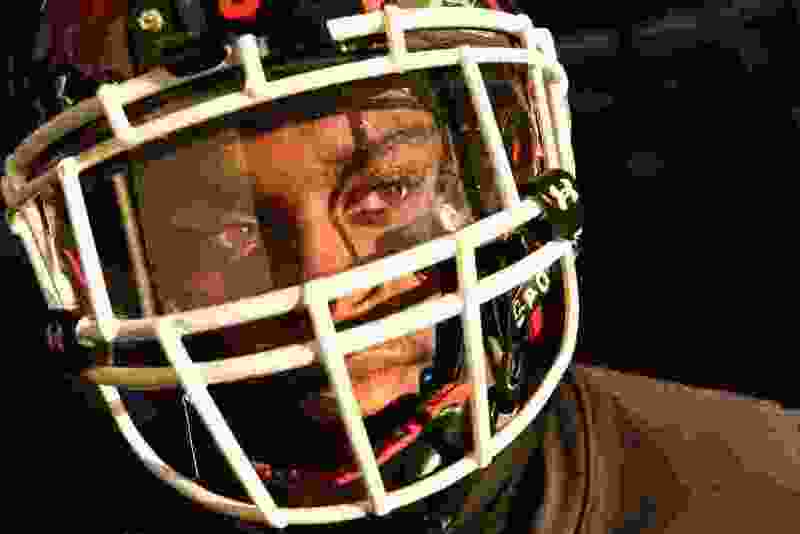 He intends to turn his Utah experience into an NFL career, ideally after his junior season of 2019. His job prospects are promising for 2020 and beyond. Johnson has developed his game even more this season, making four interceptions. 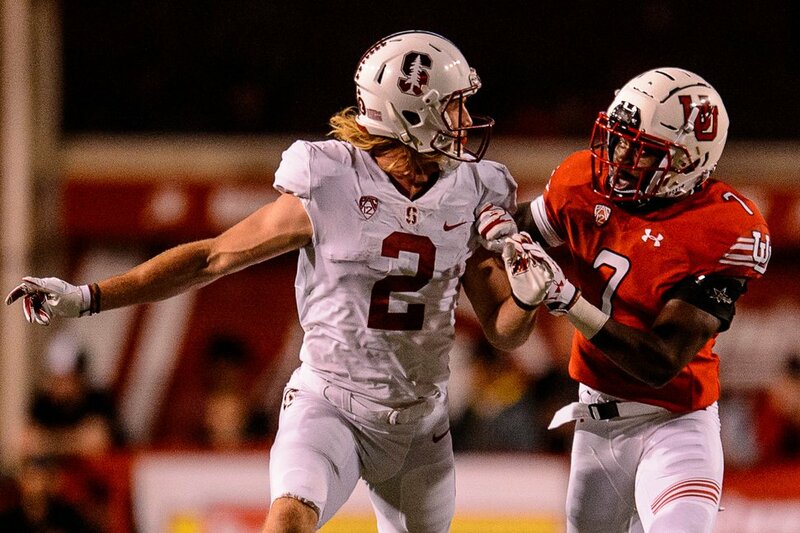 His 100-yard return for a touchdown at Stanford was the biggest highlight among many key plays, including the fourth-down deflection that saved a win over Oregon after the coaches assigned him to cover star receiver Dillon Mitchell in the second half. “We knew when we recruited him, we had something special,” said Ute coach Kyle Whittingham. (Trent Nelson | The Salt Lake Tribune) Utah Utes defensive back Jaylon Johnson (7) covering Stanford Cardinal wide receiver Trenton Irwin (2) as the University of Utah hosts Stanford, NCAA football at Rice-Eccles Stadium in Salt Lake City Saturday October 7, 2017. Johnson has stayed healthy this season after missing the 2017 Heart of Dallas Bowl due to injury, and has excelled academically, with a 3.62 GPA in business. “I’ve been doing it my whole life — being a student, as my parents raised me to be,” he said. Her son succeeded against them, in another example of his growth in two seasons at Utah. Johnson believes he has “dramatically improved from my freshman year to this year, just becoming more confident in my technique, more aggressive in tackling and being able to make more plays,” he said. His mother knows he can come across as conceited, recognizing that's any good cornerback's mentality. So she's armed with stories about his heart and tenderness, like the time as a child when he moved her oxygen tubes so he could kiss her in a hospital bed. That can happen, even to committed cornerbacks who do love football and are well-rounded people. It’s a tough position, and Johnson thrives in it.